I enlisted in the Marine Corps Reserve at the age of 23 after earning bachelor’s and master’s degrees. Throughout boot camp, I kept asking myself why. Only after leaving the maelstrom of the Recruit Depot did the answers come clear to me. I grew up in World War II, having been born two months before the German invasion of France in May 1940. Boys in those days grew up with cap pistols for war games and spotter books to identify enemy aircraft (we never saw any). commanding officer of a Naval detachment aboard the S.S. Bald Hill, a civilian oil tanker plying the West Coast. Mother lived with two kids in officers’ housing, first in Coronado, Calif., and then in Long Beach. Mother wore Dad’s Naval insignia as a brooch. My brother Fitz and I got to visit the ship, climb the ladders, and tour Dad’s quarters. He brought us souvenirs of the Pacific War, including .50-caliber shells, red goggles for watch, and a Navy fur-lined watch coat. We were thrilled with this loot as only small boys can be. So the war kindled admiration in me for the miitary. In college, I tried to sign up for officer-candidate school in the Marine Corps. But the peacetime Marine Corps did not accept officer candidates who wore glasses. So when my draft notice arrived in July 1963, six weeks out of school, I faced a two-year hitch in the Army as a draftee. I went home to Midland, Texas, to look over the possibilities. I checked out the Army, the Army Reserve, the National Guard, and the Navy Reserve. But I already leaned to the Marine Corps. 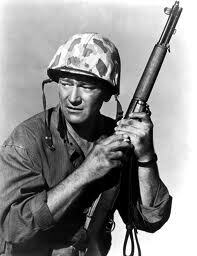 I had seen lots of John Wayne movies. And two summers before, I helped a high-school friend, Walter Dunagan, try to trap a tire-slasher in his apartment building. Walter had enlisted in the Marine Reserves out of college. He possessed what to seemed to me to be a mass of tactical knowledge. Walter recruited several of us and created a perimeter around his parking lot to catch the perpetrator. As my last visit, I stopped by a Marine reserve unit: the 13th Engineer Company, Fleet Marine Force, in Terminal, Texas (the Midland & Odessa airport on the Midland county line). The scuttlebutt had it that the unit had once been a rifle company that had fought with the 1st Marine Division in Korea. My recruiting interview took place with 1st Sergeant Ishmael Sanchez, a regular Marine assigned to the company. Sgt. Sanchez stood about 5 feet 5, with arms so ripped I did not see how he fit into his uniform. It was late July 1963. Sgt. Sanchez told me, as I recall, that he had a recruiting quota of three for the month of July. But he had not yet signed anyone up. He wanted me to enlist. 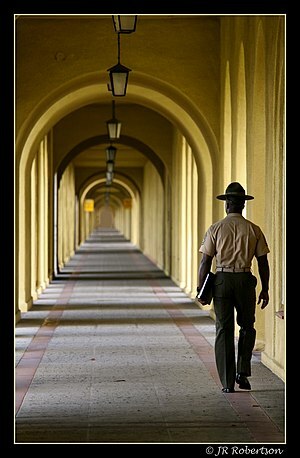 That meant either Marine Corps Recruit Depot Parris Island or Marine Corps Recruit Depot San Diego. San Diego recruits become Hollywood Marines. No one chooses Parris Island. His eyes grew wide, as though no one had ever asked him a question like that before. “Killed?” he said. “Killed? Why, we lose fewer men than the Army, the Navy, the Air Force, or the Coast Guard. Meaning, in case you were killed in action, the Marines would not leave your body in the jungles of the Pacific, the rice paddies of Southeast Asia, or the snows of Korea. That was the most astonishing sales pitch I ever heard. He called in the captain, and I raised my right hand.